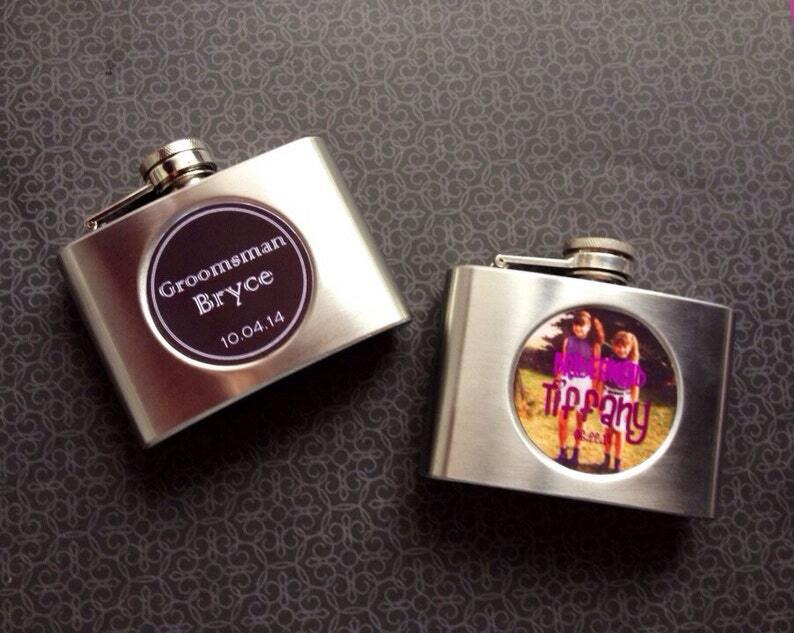 This is the perfect gift for your groomsmen or bridesmaids. 4oz stainless steel flask (funnel included) customized with the photo or image or your choice. Use a treasured photo from your past commemorating years of friendship, a monogram, fraternity or sorority logo, etc... I can help you create just about anything you'd like!